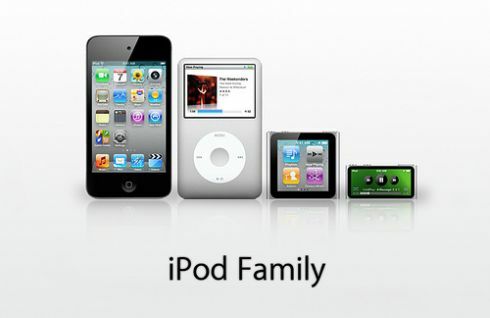 Guilherme Schasiepen, the man behind this brilliant Apple iTV concept is back, this time with a new iPod. 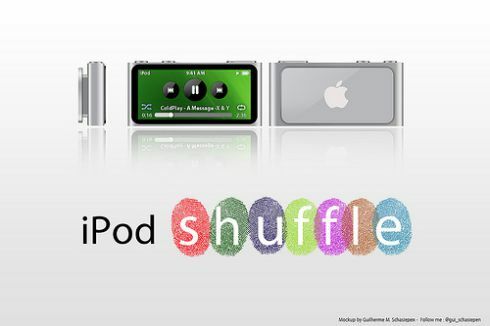 This design dates from last year, fall and it’s an iPod Shuffle with a touchscreen display. How cool is that? It still clips onto your clothes and the size is about the same as the older iPod Shuffle, but with a widescreen display. The iPod nano was a hit when it came and people started creating watch designs based on it, so why wouldn’t a touch iPod Shuffle catch on? It’s small, it’s comfortable, it might even be priced right this time… Hopefully folks with big, thick fingers will get used to the input on this tiny little player and maybe there’s a way to integrate this with the iPod, iPad and iPhone experience, maybe as some sort of headset or extra microphone? 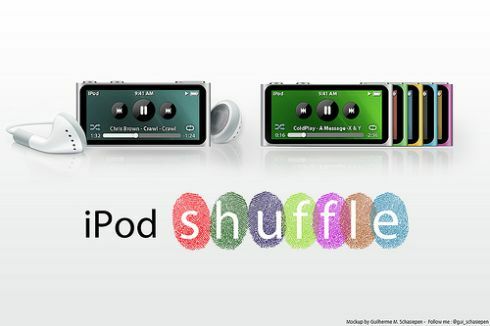 The industrial design of this next generation Shuffle is mint, but is the battery able to live up to the expectations? Also, since this is a Shuffle, it’s most likely a jogging device, but with a screen it suddenly becomes more fragile and prone to breaking… Would you get one?